ScienceIndex.com is a Web 2.0 sciences social network established in 1998 to index the very latest news, headlines, references and resources from science journals, books and websites worldwide. The site covers news in all fields of biology, business, chemistry, engineering, geography, health, mathematics and society. In the field of business, the site has now included the two new categories Economics and Finance. While the Economics category covers the production, distribution, and consumption of goods and services, the Finance category covers management of money, banking, investments, credit, and other assets. ScienceIndex.com’s Business Sciences Category covers commercial, industrial, and professional occupation. Its seven subsections include Accounting, Administration, Economics, Finance, Management, Marketing, and Nonprofits. 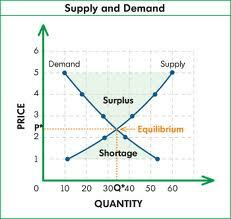 ScienceIndex.com’s Economics Sciences Category covers the production, distribution, and consumption of goods and services. It currently contains over 16,100 articles partly derived from over 200 scientific journals. One of the latest additions covers factor shares, business cycles and the distributive loop and investigates how factor shares vary over the business cycle and how their movements fit into Kaleckian analysis. The authors conclude that factor shares may be procyclical and countercyclical at different stages of the business cycle. If factor shares vary in a complex way, Kaleckian models cannot have a stable distributive curve and the economy follows a distributive loop, with different adjustment paths during an upswing and a downswing. Another recent inclusion provides an investigation of international trade and the composition of labor market turnover. The authors state that the composition of labor market turnover influences patterns of international trade. Industries with relatively greater shares of worker turnover export more of total production, and those with higher job turnover export less. High job turnover hinders industry adjustment following trade liberalization. These results highlight the importance of relative turnover shares on either side of the labor market in shaping economic outcomes. ScienceIndex.com’s Finance Sciences category covers the management of money, banking, investments, credit, and other assets. It currently contains nearly 5,400 articles partly derived from 75 scientific journals. One recently included article in this category asks whether the diversification potential of securitized real estate varies over time and whether investors should care. This paper examines the dynamics of the covariance matrix of return rates for securitized real estate, other company stocks, and government bonds for a cross-section of eight countries. The authors conclude that portfolios selected with a forecasted dynamic covariance matrix are less risky than portfolios constructed with the static matrix. Consequently, passive buy-and-hold investors benefit, because the forecasted dynamic covariance matrix provides better risk assessment. Another article reviews four recent studies that blend behavioral economics and psychology. These studies provide evidence for a dual-process decision model for risk that incorporates both reason and fear and show consumers responses to perceived risk as a mix of proportional and dichotomous responses that are relatively more continuous in situations where deliberation is possible, and more dichotomous in emotional or stressful circumstances. ScienceIndex.com currently contains over 1.37 million stories distributed among 75 categories. 75,248 users monitor nearly 8,200 journals covering the broad spectrum of sciences. They share circa 2,500 new articles every day. Since new science content is discovered in real-time, the delay between original publication and appearance at ScienceIndex.com is no more than two days. ScienceIndex.com provides an advanced search feature which suggests up to ten closely related articles for a search and also for a selected story. Other features include a “Life Traffic Feed”, a “Top Content” sidebar, Google Translate functionality, and RSS feeds for every category. ScienceIndex.com also maintains the new Twitter account @ScienceIndex_. Donway analyzes how we arrived at this crossroads and predicts, dependent on earlier patterns of govt intervention, what the outcome may be. –The initial disaster was pushed in large portion by enormous credit rating enlargement driven by the Fedand exacerbated in actual estate, in distinct, by two govt-designed companies, Fannie Mae and Freddie Macwhich pushed the sector into over-drive, and, at the very same time, disabled all the normal restraints this kind of as growing desire costs, increasing threat-aversion, and deficiency of extra funds for investment decision. –In Summer season 2008, as the large genuine-estate bubble, and all the monetary instruments based on itmany packaging or securitizing increasingly shoddy mortgagesbegan to burst, sheer panic seized the markets. The Treasury and Fed produced actually unparalleled investments of taxpayer income in monetary firmsa rescue for which numerous (but not all) economic executives pleaded. Congress became panickedas the marketplaces plunged seemingly endlesslyand authorized hundreds of billions of dollars for the economic business. –As the existing deep economic downturn has dragged on, the Fed has declared that it would keep short-phrase desire prices successfully at zero for yearsuntil 2014 was the most current decision. And it has moved to use its powers to influence prolonged-time period charges, as properly. –Govt, constantly massive in the bond markets, has grow to be more and more dominant. In get to borrow, government often has marketed its short-term and extended-time period debtnow trillions of pounds. Furthermore, for the duration of the recession, the Treasury and Fed turned purchasers of non-public personal debt, paying hundreds of billions of dollars acquiring distressed mortgage-backed securities and other types of financial debt with which financial institutions, brokers, and insurance businesses have been stuck. As a consequence, the American federal government turned the operator of this or else unmarketable financial debt. –The Fed flooded the banking system with cash, which includes by indicates of pure cash creation, the banks responded by buying federal government bonds. In other phrases, the terrified banking institutions utilised the Feds money to get authorities credit card debt. –The Fed has created the whole U.S. inventory market (and, as a side effect, stock marketplaces globally) dependent on its guidelines. –Expectations are that, as the economic climate proceeds to weaken, and the November Presidential election nears, the Fed will re-start complete-scale quantitative easing. Donway also contends that the Dodd-Frank laws tends to make the up coming crisis not considerably less likely but nearly inescapable. And he employs the phrase “political-economic sophisticated” to summarize the difficulty: “Wall Road, and the financial sector nationwide, can benefitto the tune of billions of bucks in profitsfrom their partnership with government. “This is crony capitalism and must be uncovered as this sort of,” Donway concludes.